Accounting software is an application software that records and processes accounting transactions within functional modules such as accounts payable, accounts receivable, payroll, and trial balance. It functions as an accounting information system. It may be developed in-house by the company or organization using it, may be purchased from a third party, or may be a combination of a third-party application software package with local modifications. It varies greatly in its complexity and cost. All accounting software listed in this article are free and open-source and many of them can be used in all popular operating systems. Feel free to suggest any other accounting math software not mentioned in the article. The main thing to keep in mind is having accounting software is not magic, and it does not turn you into an accountant, anymore than owning a hardware store turns you into a carpenter, electrician, or plumber – you still need to know, at the least, the fundamental principles of accounting and bookkeeping. Before you decide which one to start using, we advise you to explore these free accounting software completely to ensure that the one you are downloading does meets all your needs. If there is some good accounting software that we missed in this list, do mention in comments. PhreeBooks accounting was developed as an open source ERP (Enterprise Resource Planning) web-based application written for the small business community. The goal is to provide a multi-language web-based end-to-end enterprise management tool. Written in the widely availalbe PHP scripting language with the robust MYSQL database engine, PhreeBooks goal is to provide a low cost solution for small business concerns. Unlike most commercially available accounting packages that use proprietary software or require MS Windows operating system, PhreeBooks is platform independent, browser independent and easily translated into many languages. TurboCash is an open source small business accounting package, which the developers say has more than 80,000 users worldwide. It has all the usual standard functions – stock control, invoicing, debtors, creditors, general ledger, VAT accounting, balance sheet and income statements, and plenty of reports – and also supports multiple users, and even multiple companies. As with any similar package, if you’re new to accounting in general then there’s a great deal to learn. 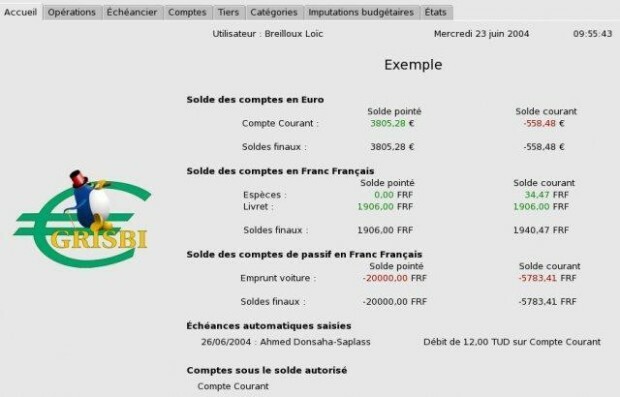 TurboCASH does make things easier with example books, though, and a detailed online manual helps you to get started. The program is also highly configurable, and it’s also a relief to use a free accounting tool which isn’t always demanding that you “upgrade”. 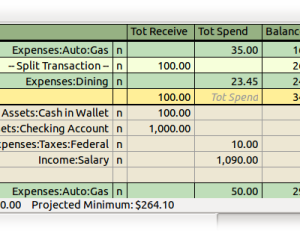 GnuCash is personal and small-business financial-accounting software, freely licensed under the GNU GPL and available for GNU/Linux, BSD, Solaris, Mac OS X and Microsoft Windows. Designed to be easy to use, yet powerful and flexible, GnuCash allows you to track bank accounts, stocks, income and expenses. As quick and intuitive to use as a checkbook register, it is based on professional accounting principles to ensure balanced books and accurate reports. 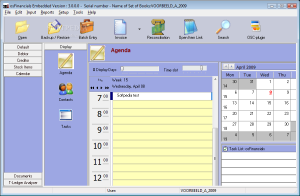 osFinancials is a free accounting software that allows you full accounting utility. It is licensed under the GNU/GPL license which authorize the program to be free and can be used any users and free to download. This free accounting software is reliable, easy to install and very easy to administer. 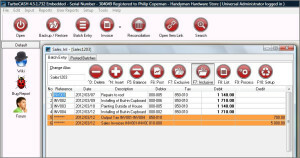 osFinancials is feature rich open source accounting software that allows you full accounting support. Accounts maintenance is one of the most vital aspects of the business, as you need to present your business finance position in number of instances to the outsiders whether financial institutions or government authorities. For this purpose, you must maintain the accounts and books of accounts with clarity and error free. The freeware accounting software has tools that prepare invoices and documents so that you can use the format easily right to your customers and others. The invoice layout is detailed and quite effective. Along with invoices, customize the financial reports for your use. Control your inventory movement by keeping check in your stock account status and avoids unwanted losses. One problem I face with osFinancials is that website itself is in Dutch, and lot of parts do not have translation. Even most of the forum posts are in Dutch. PostBooks is another open source tool with all the usual accounting features: general ledger, accounts payable and receivable, invoicing, bank reconciliation and more, all accessible via a well-presented interface. But that’s just the start. The program also includes equally capable modules like Products, Inventory, Purchase, Manufacture, CRM and Sales, for instance, while an integrated OpenRPT report writer helps you create the reports you need. Unsurprisingly, this also comes with a steep learning curve, but PostBooks could be useful for larger businesses, and you can upgrade to commercial packages later if you need more power. Another open-source alternative business package is Grisbi, which operates under GNU/Linux and Windows OS. Grisbi is a very functional personal financial management program with a reasonable set of homefinance features. 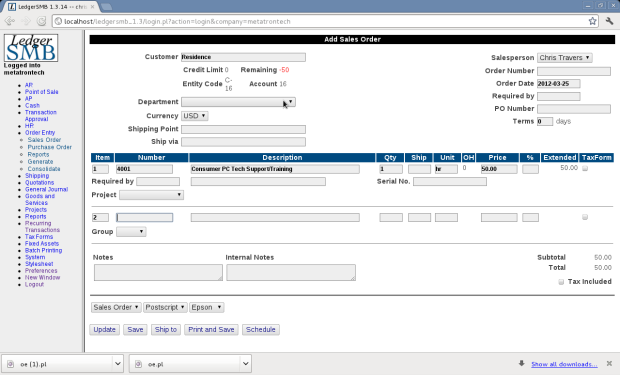 Users can set it up instantly and lets you preview customized reports before printing or sending via email. Grisbi can manage multiple accounts, currencies and users. It manages third party, expenditure and receipt categories, as well as budgetary lines, financial years, and other information that makes it quite adapted for associations (except those that require double entry accounting). 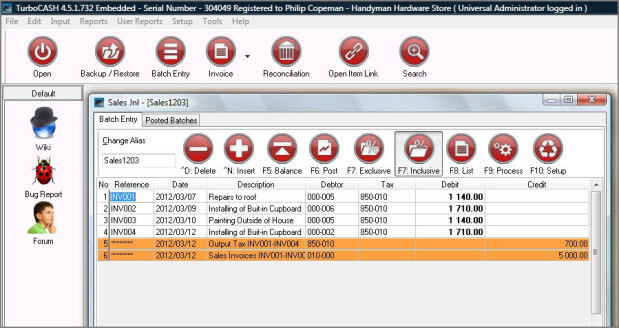 SQL-Ledger free web based accounting software for all small-sized business enterprises. The application will keep your books with double entry accounting/ERP system, which is the most acceptable method of book keeping around the globe. The app is downloadable and requires quick installation. The app is very easy to handle and very simple to use. 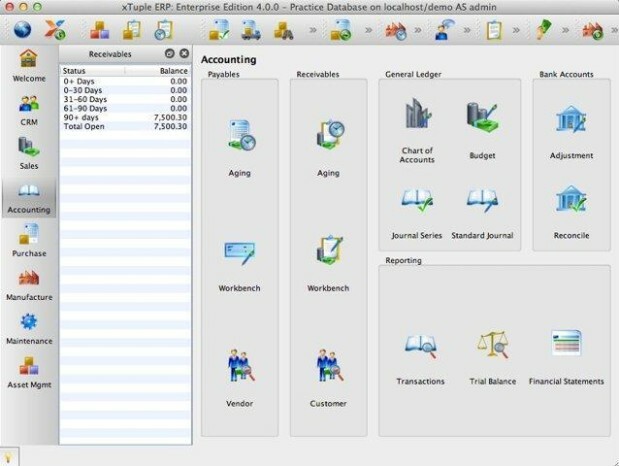 The easy to use interface will help you keep up with the accounts and maintain your books. Your accounting data is stored in SQL database, which ensure its easy retrieval and better data integration. The SQL database is very easy to handle and requires very less operation to access to the financial figures. With the assembly feature, you can build manufactured goods from parts, services, labor units, and assemblies. 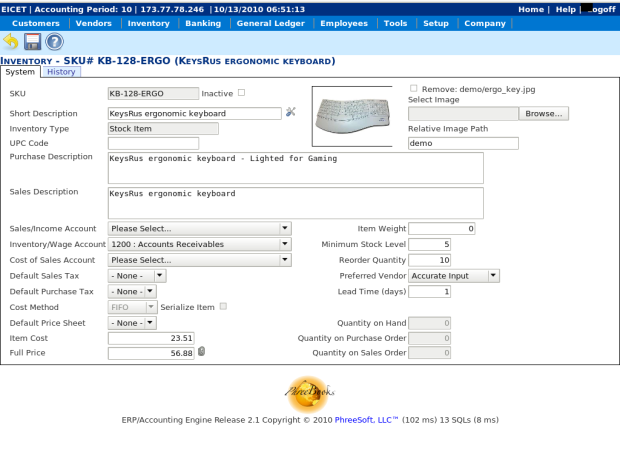 When the assembly is sold all the accounts linked to the individual parts, services, labor units and assemblies are updated and stock levels adjusted accordingly. Thus, this free accounting software is designed with precise knowledge of the accounting methods that will definitely help when you have limited knowledge about the same. You can also rely on this open source accounting software for maintaining foreign currency transactions, they are automatically converted, and exchange rate differences, gains and losses, if any, adjusted to the appropriate accounts confirming the accounting standards prevailing. LedgerSMB is free open source application for financial accounting. The program is designed to give you set of tools for better book keeping and accounts maintenance. The accounts are vital part of any business and the app is developed to help you keep tracks of your incomes and expenditures. 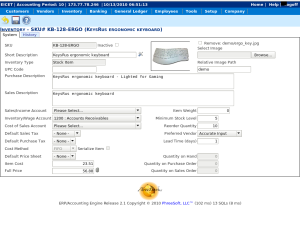 Using this free accounting software, you will be able to track AR, AP, and GL maintenance as well as inventory control easily without any support of external support. LedgerSMB works well on any UNIX-type platform, including Linux, *BSD, and Apple’s OS X, and also is tested on Windows as well. 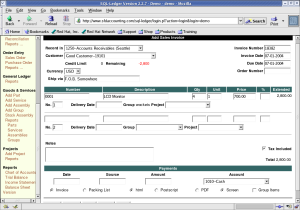 The open source accounting software can be used by small to midsize businesses. The application is known for this high-quality ERP system and accounting capabilities that makes accounting easy for all. FrontAccounting is web-based free accounting software and free ERP software designed specially for all small and medium size business. The free accounting software is completely open for all, and any firm or business organization searching for free ERP package on web must try out the application. This open source accounting software is equipped with all the essential features and functions that will help you to keep your account up to date. You can handle your accounts maintenance easily with this freeware. Been running my corporation on gnucash for 5 years now. It’s about the best I found. I’m not an accountant or bookkeeper but found it easy to set up, easy to use and most importantly, it’s spot on with tax information for the IRS who get very upset if you’re off one penny! 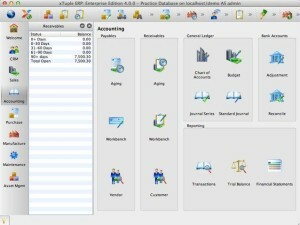 Very nice roundup of free accounting software. I didn’t know about quite a few of them. Thanks! © 2019 Calculatorium. All Rights Reserved.